It’s one of the most photographed buildings in New York: the Flatiron Building. 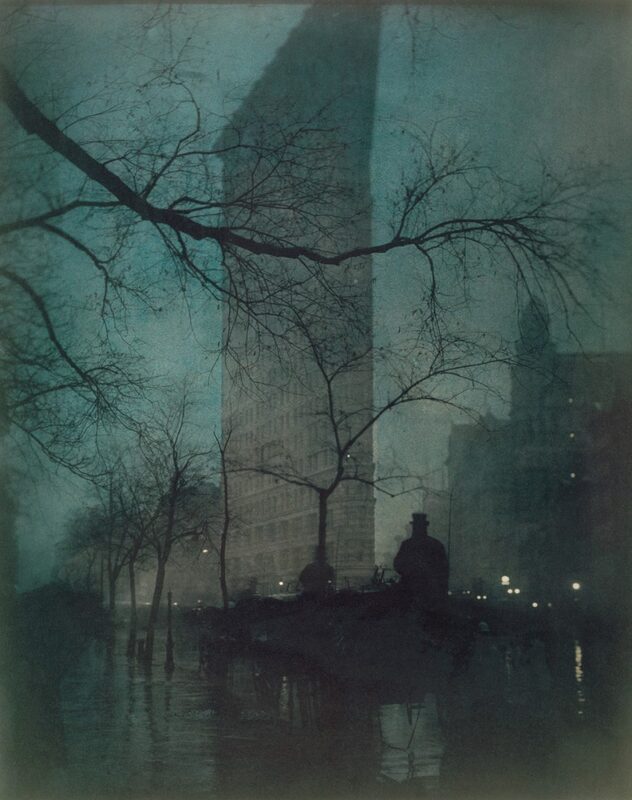 Above, you’ll see a beautiful 1904 shot of the Flatiron from photographer Edward J. Steichen – an American born in Luxembourg. 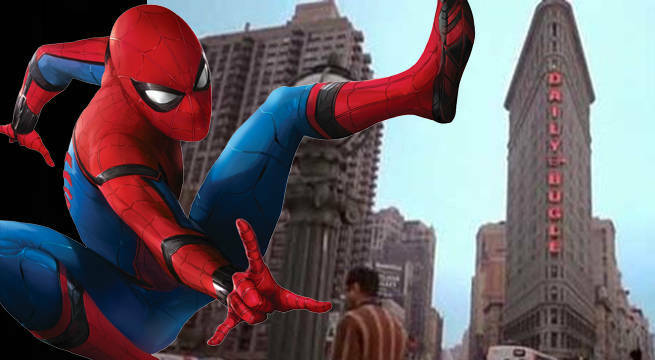 You might also recognize the Flatiron as home to the Daily Bugle in Spiderman. This Beaux-Arts styled New York building – located where Broadway and Fifth meet 23rd Avenue – was designed by Daniel Burnham. Twenty floors were completed in 1902; the 21st was added three years later. 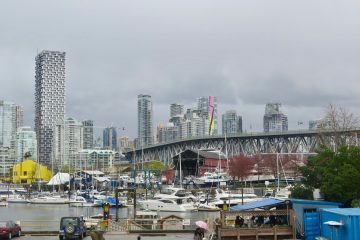 In Vancouver’s Gastown, you’ll see a number of buildings similarly shaped like cast-iron clothes presses. 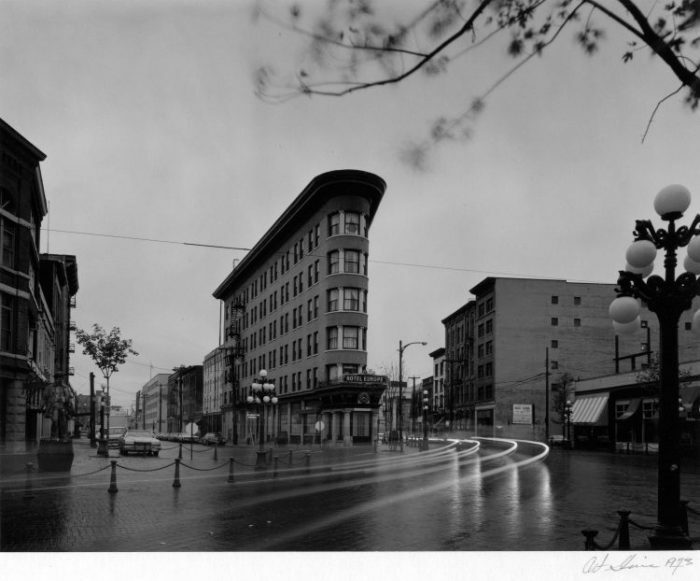 Most striking is the Hotel Europe, built where Water, Powell and Alexander Streets converge. 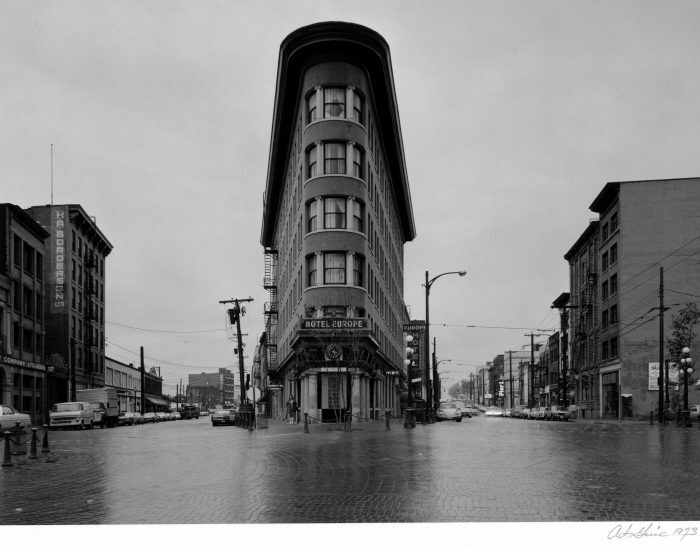 Inspired by Burnham’s New York creation, this six story building was designed in 1908-1909 by active local architects John Parr and Thomas Fee. With this Hotel Europe project, Parr and Fee – working with the Ferro-Concrete Construction Company of Cincinnatti, Ohio – were particularly innovative in their use of reinforced concrete technology. In 1983, the Hotel Europe flatiron rooms were converted into affordable housing.